140 N. Lake Havasu Ave. Even the most experienced homeowners face difficulties with their HVAC systems, and knowing when to call your air conditioning contractor can be a difficult decision. While some signs of trouble appear obvious, others are harder to spot. Here are signs your air conditioner is in trouble. Airflow should remain cool and steady all season long, so if you barely feel a breeze, you need air conditioner services quickly. Poor airflow points to a failing compressor or dirty ductwork, both resulting in uneven temperatures throughout your abode. Since dirty ducts restrict healthy air and can quickly spread a wide range of debris, they’re not something to wait on. Consult your air conditioning contractor to get the system running smoothly again. It’s easy to tell when your system isn’t doing its job, as you’ll feel a noticeable lack of air. Even when the system is at its highest setting, your vents just can’t do the cooling required to keep your home comfortable. While this is an intense hassle during a heatwave, AC repairs can fix your system’s compressor, allowing cool air through again. Moisture occurs when your system is leaking, resulting in drips or small puddles around the home. Refrigerant leaks pose major health hazards, ranging from dizziness and headache to a complete cutoff of oxygen. This depends on the size of both the leak and the area itself, but, since leaks spread quickly, they’re something requiring immediate assistance. Another common leak is caused by a blocked or broken drainage tube. When water can’t drain properly, it has to pool up somewhere. Thankfully, this isn’t a major issue, but it can contribute to mold growth if you let it sit. Regular AC services will clear out the tube to get your system pumping air again, finally putting an end to those leaks. Lake Havasu City, AZ’s All American Air Conditioning of Havasu is the area’s premier HVAC service, providing high-quality work—no matter what the size or scope. 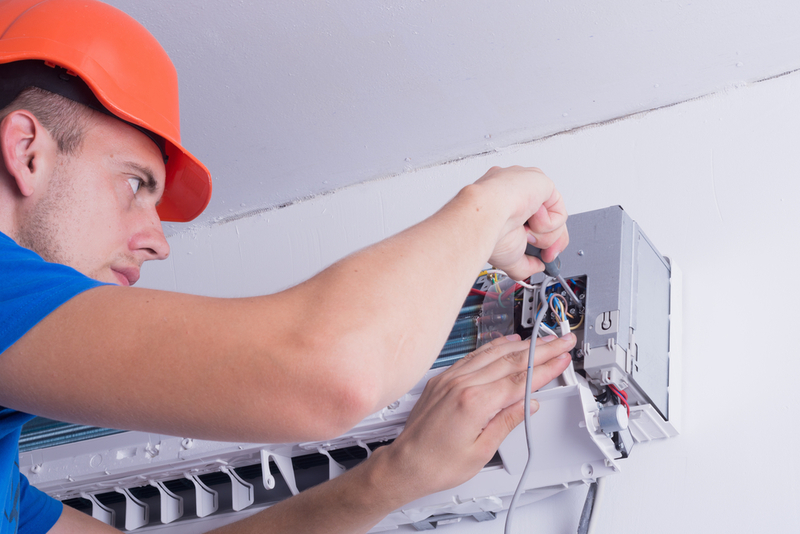 If you need an air conditioning contractor, their skilled team will get your system up and running in no time. They also offer heat and AC installation, inspections, and regular maintenance to keep your home comfortable all year-round. Visit their website for more information, or call (928) 855-4549 to schedule your service today.